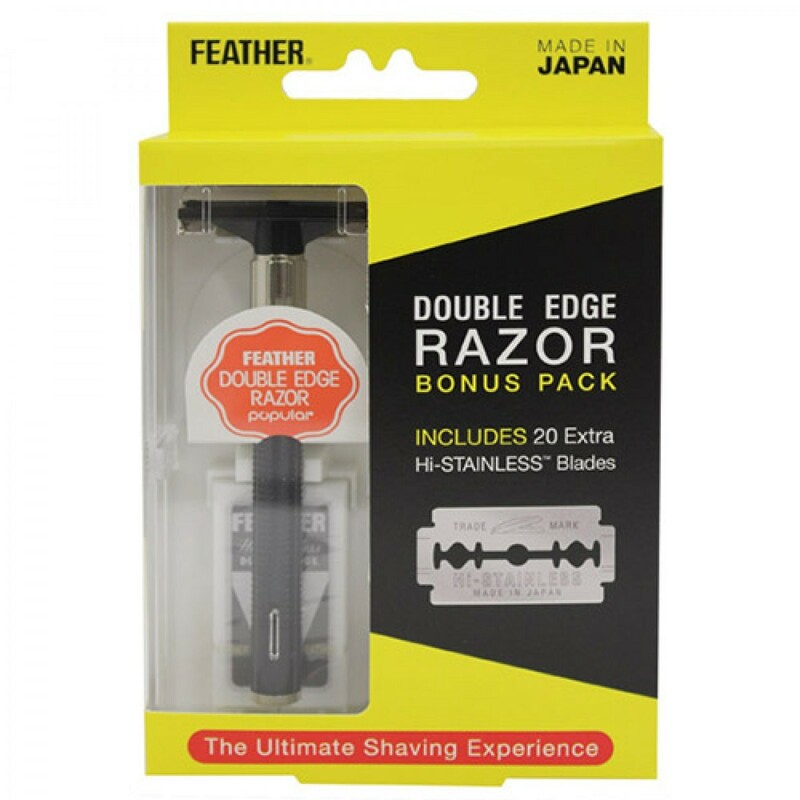 The Feather Double Edge Razor Bonus Pack includes the Feather Popular Double Edge Razor and 20 Feather Hi-Stainless Steel Blades. The FEATHER Popular Double Edge Razor is the economical choice when it comes to double edge razors. Return to a state when traditional wet shaving was king and you could lose yourself in your shaving experience. Each stroke leaves your skin soft and smooth. With the help of modern technology, Feather double-edge razors offer greater control and provide a closer shave than multi-blade cartridge razors. In fact, they are the next best thing to a straight razor shave. They can even save you money in the long term as double edge blades are more affordable than cartridge replacements. Feather Hi-Stainless Double Edge Blades have a reputation for being sharp, consistent in quality and very durable. Making sure you have a great razor and blade is important to a truly superior shave.